Download Nicholas Nickleby ebook. Nicholas Nickleby; or, The Life and Adventures of Nicholas Nickleby is a novel by Charles Dickens. Originally published as a serial from 1838 to 1839, it was Dickens’s third novel. Nicholas Nickleby is Charles Dickens’s third published novel. He returned to his favourite publishers and to the format that was considered so successful with The Pickwick Papers. The story first appeared in monthly parts, after which it was issued in one volume. The style is considered to be episodic and humorous, though the second half of the novel becomes more serious and tightly plotted. Dickens began writing ‘Nickleby’ while still working on Oliver Twist and while the mood is considerably lighter, his depiction of the Yorkshire school run by Wackford Squeers is as moving and influential as those of the workhouse and criminal underclass in Twist. ‘Nickleby’ marks a new development in a further sense as it is the first of Dickens’s romances. When it was published the book was an immediate and complete success and established Dickens’s lasting reputation. The cruelty of a real Yorkshire schoolmaster named William Shaw became the basis for Dickens’s brutal character of Wackford Squeers. Dickens visited Shaw’s school in Bowes and based the school section of Nicholas Nickleby on his visit. Nicholas Nickleby is the tale of a young man whose father has died leaving his family penniless. Nicholas must find a job to support his mother and sister, Kate. The family turns for help to their uncle, Ralph Nickleby, a ruthless businessman, who has taken a dislike to his relatives. Nicholas, aided by many diverse characters, must protect his family from his uncle’s machinations. 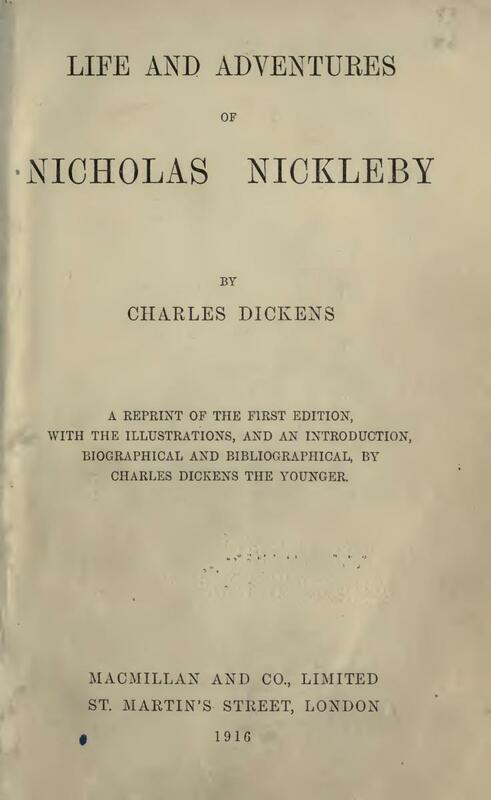 Nicholas Nickleby was the third book written by Charles Dickens, and it was published in serial form monthly in 1838 and 1839 before being published as a book in 1839. At first, I found the book very readable. As with many books written in the 1800s, the prose tends to be very wordy, and the style of the language is more stilted and formal than in books written more recently. However, I feel that Dickens’ style is perhaps a little more casual than some authors of that time which made reading the book more enjoyable. I felt there were a lot of descriptive passages in the book that could have been edited, making the book more streamlined. After a while, I felt that I got bogged down in the detail which made it somewhat less enjoyable to read. Also, Dickens introduces many characters throughout the book who really do not have a bearing on the overall tale. The characters seem to be part of amusing anecdotes used as filler to keep the serial going as long as possible. I felt that there was a lot of buildup to a climax, and then the story just petered out with minimal wrap-up compared to the amount of buildup. For instance, we learn much about two aristocratic gentlemen and also a family of performers, none of whom figure largely at the end of the story, but there is very little to be learned about the future spouses of both Nicholas and Kate, even though they would have more bearing on the longer story. 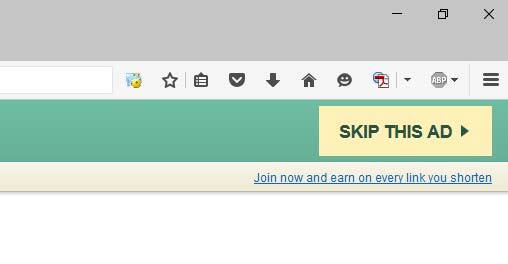 Please skip the next paragraph as there are spoilers contained. I felt that there were some inconsistencies in how certain characters reacted. Nicholas seemed to be a very kind and honorable young man; however, at the beginning of the story, he seems to have a terrible temper which gets him into trouble. Not long afterward, he seems to have matured, and there is little reason for this given by the author. He may have realized the error of his ways, but Dickens did not see fit to mention this. Also, Ralph Nickleby is portrayed as a mean and heartless man. He finds that he has a son who was ill-treated before he was befriended by the Nickleby family and has now died. Because of this Ralph commits suicide, which seems very out of character. I did enjoy the classic good-triumphs over evil storyline. I also enjoyed meeting the many and varied characters introduced by Dickens, although there were a lot to keep track of. Dickens does a fabulous job of fleshing out some of the characters, but he does leave other characters feeling flat. Charles John Huffam Dickens (/ˈdɪkɪnz/; 7 February 1812 – 9 June 1870) was an English writer and social critic. He created some of the world’s best-known fictional characters and is regarded by many as the greatest novelist of the Victorian era. His works enjoyed unprecedented popularity during his lifetime, and by the 20th century critics and scholars had recognised him as a literary genius. His novels and short stories enjoy lasting popularity.